Live from the capital of the Russian Empire, Petrograd, we bring you updates as they take place. Travel 100 years back in time with RT to witness the most tumultuous period in Russian history. To learn more about the Russian Revolution, go to 1917.rt.com. To follow real-time events on Twitter, search for #1917LIVE and @RT_1917. Pavel arrives back to Tsarskoe Selo, where he is taken into custody together with his loyal butler. He is now a prisoner together with his wife and children. Grand Duke Pavel, her husband, earlier today visited with Countess Gogenfelzen at Tsarskoe Selo, which is now completely overrun with soldiers stationed there at the Provisional Government’s behest – allegedly to prevent any attempts on Paley and her children’s lives. At about 19:00, he leaves for Mogilev, where he is to see his mother, who set off from Kiev earlier today to meet with him. Paley believes the Tsar’s mind is “preoccupied only with the fate of the Russia that he loves so dearly,” and sees this as his motivation for abdicating. Kiev has received word of Nicholas’ abdication. Authorities there have begun setting up new government institutions. However, unlike the case with Russian cities, instead of a dual power structure, there is talk of a trilateral one: aside from the Radicals and Liberals, there are rumors of a nationalistic Central Rada in the cards. Over on the front line, the Germans are pulling back. Realizing it could thicken up its offensive line, the German Army retreats to the Hindenburg Line, designed specifically as a defensive buffer. The Germans ransack and destroy everything on their way as they withdraw, military sources report. The Baltic Fleet continues to mutiny and execute superiors. Word of the new regulations threatening severe punishment for lawlessness has apparently not yet reached there, although, by some accounts, that was the way in which sailors implemented their own version of Order No.1. 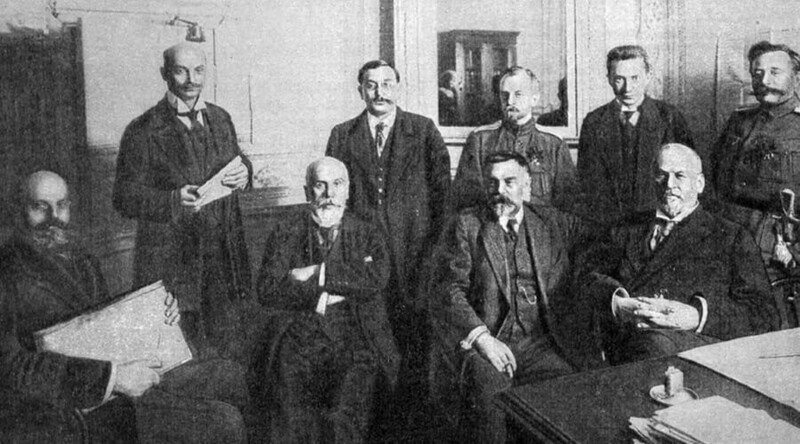 After a lengthy discussion with members of the Provisional Committee at the Duma, in which Rodzianko also participated, Nicholas’ brother Mikhail Alexandrovich also abdicates. He issues a statement to the Russian people, in which he asks the citizenry to obey the Provisional Government until a new government structure is formulated. There are rumors the Grand Duke’s life was threatened unless he gave up the crown. There are also rumors of threats made earlier on Nicholas’ family, unless he does the same.